A mysterious man in a long white robe would almost suddenly appear in Morocco’s Sahara Desert. Armed with a plastic water bottle that was cut at the neck, he would remove all scorpions and snakes before director Peter Weir and his cast and crew could start the day's work on their latest feature. “That’s a first for me – a scorpion sweeper,” a relaxed Weir, 66, says. “He was magnificent; I sensed he was watching me. It was this story that brought a smile to Weir’s face when IF sat down with the acclaimed director in Sydney’s east, to discuss his latest epic blockbuster The Way Back, which opens nationwide tomorrow. The $29 million World War II survival movie, based on Slavomir Rawicz novel The Long Walk: The True Story Of A Trek To Freedom, follows a group of prisoners who escape their Siberian Gulag and begin a treacherous journey across thousands of miles in such places as Mongolia, the Gobi Desert and the Himalayas. “The escape wasn’t hard, that’s why I didn’t spend much time with it,” Weir says, admitting that Siberia was the real prison. The director of The Truman Show and Master and Commander: The Far Side Of The World fictionalised the story and drew from true accounts of people he and executive producer Keith Clarke interviewed in Moscow, Siberia and London. “You’re sitting opposite someone who lived this,” Weir says. “I didn’t want to exhaust them – some of the sessions were two-hours long, videotaped. Weir says it was a tough 66-day shoot – the hardest being in the scorching desert. On the day the filmmakers were scheduled to shoot a sandstorm, a real one emerged – but Weir wasn’t going to let that slip. “The production manager wouldn’t let me [shoot] – he said to ‘get in your car’. But the second unit cameraman and I did sneak off into it and shot some cutaway shots, but it was a little scary.” Certain shots appeared in the final version of the two-hour-plus film. Local companies Deluxe, RSP and Soundfirm did Post Production services on the flick, which was co-produced by National Geographic Entertainment and Imagenation Abu Dhabi. Weir's first feature since 2003, which struggled to find distribution, has made $US13.37 worldwide, according to Box Office Mojo. While not disclosing any Academy Award tips for this week’s ceremony, he says he recently enjoyed Oscar frontrunners The King’s Speech and The Social Network. “But the cliché is true – the nomination is the real prize,” the six-time Oscar-nominated director says. 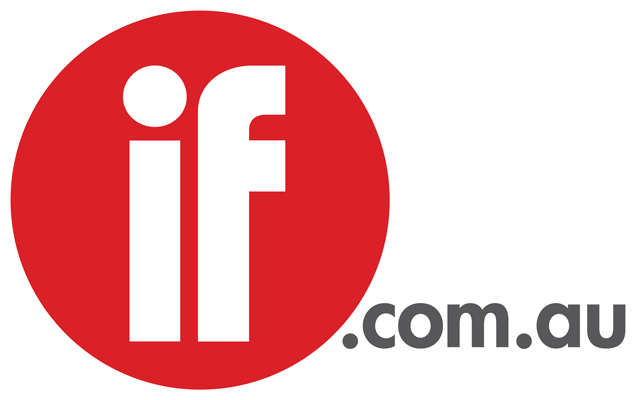 To read more on Weir’s sit-down interview with IF, click here. To watch the trailer, click here. The Way Back will open tomorrow on 127 screens by Roadshow.